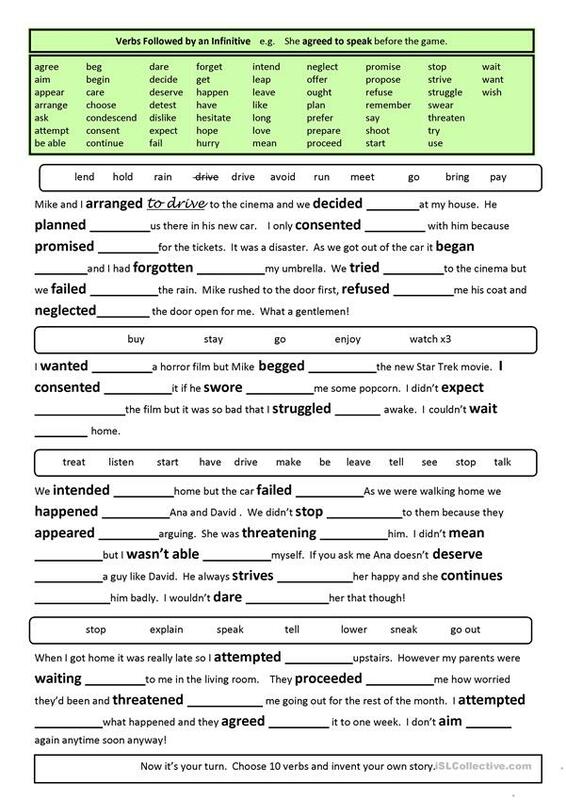 A worksheet which focuses on verbs which are followed by the infinitive. 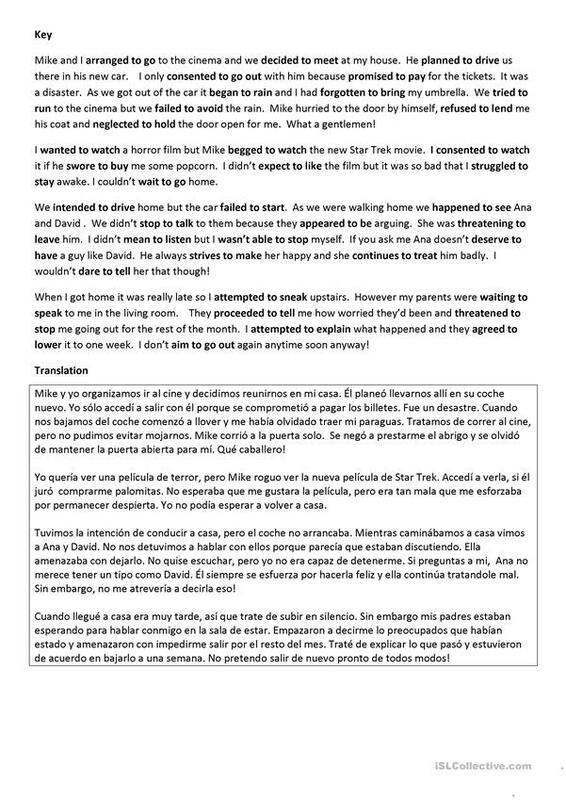 Students compete the story with the verbs given and then invent their story using some of the verbs. Useful for Trinity GESE grade 8. The above downloadable worksheet is meant for business/professional students and adults at Upper-intermediate (B2), Advanced (C1) and Proficient (C2) level. It is great for practising Infinitive structures in English, and was designed for working on your students' Writing skills. The exercises come with the solutions.